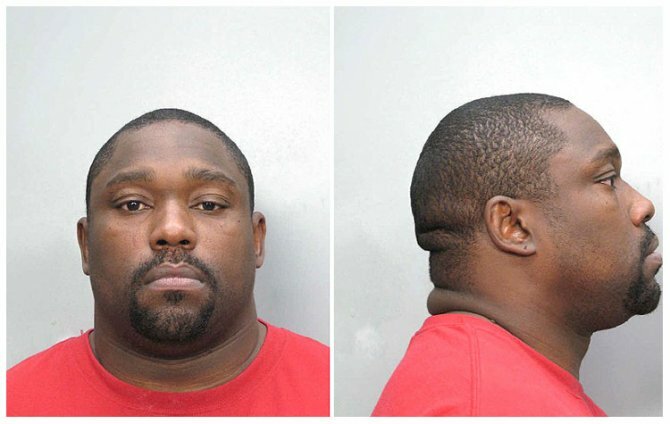 Former NFL star Warren Sapp was arrested by Miami Beach cops in February 2010 and charged with misdemeanor domestic battery. According to police, the 37-year-old announcer for the NFL Network and former contestant on "Dancing With the Stars" pulled his girlfriend out of the hotel room bed they were sharing and demanded that she leave their room. As she began to get dressed, Sapp allegedly grabbed the woman's neck and began to choke her before eventually pushing her out of the room. When police arrived they observed bruises on her neck and a swollen right knee. Sapp was taken to the Miami-Dade County jail where he posed for the above mug shot and was held on $1500 bond. Submitted by greglisi on Wed, 2011-03-23 18:18. Hence the last name , , " SAPP"